Weddings in Malta can be rather curious affairs. First of all, the chances are considerable that you will unexpectedly meet people you know from other walks of life, whereupon you realise that you have the bride and groom (or their parents) in common. As you work out the connection between family, friendships and acquaintances through work or other networks, it almost turns into a six degrees of separation kind of board game. ‘Six degrees’ is the idea that everyone in the world is six or fewer steps away from each other so that a chain of “a friend of a friend” statements can be made to connect any two people in a maximum of six steps Which in Malta, let’s face it, can often be whittled down to three degrees. Another strange thing which has always stumped me, however, is why people feel the need to invite politicians. To be fair, this is not always the decision of the couple, but of the parents (who may be paying for the wedding) who feel the need to invite those in positions of power out of some form of obligation. (Unless, of course, the politician or other bigwig is a direct relation or a close friend, in which case their presence is understandable). But I have been to my fair share of weddings where the VIP is definitely attending after being invited as a mere courtesy. This has always struck me as odd, as I feel weddings should be intimate occasions, restricted to close friends and family, but then, that’s just me. What to us are “small” weddings would be considered large weddings in other countries, and the larger the wedding the more chances you have of bumping into your friendly neighbourhood MP….or even the Prime Minister himself for that matter. Now, it seems, this quirky tradition has been embraced not only by those who are not Maltese, but also exported to weddings held abroad. Like in Italy, for example, where the Chairman of Pilatus bank, Ali Sadr, tied the knot with his fiancee in 2015. At the time of writing, the facts are still emerging about the interesting guest list. It all started with an article by Ivan Camilleri in The Sunday Times, who revealed that the PM’s Chief of Staff Keith Schembri, who is a high-profile client of the contentious bank, was present at the Ali Sadr wedding. Questioned about whether this confirmed “a high degree of familiarity” as alleged in the leaked FIAU report, Schembri brushed this aside by saying that not only were “many” Maltese guests also present, but that one of the guests is a member of the Allied Group Board of Directors (which publishes The Times). It did not take long for more information to emerge (from Malta Today) that the Prime Minister and his wife were also present at this wedding, and that the Allied Group board member in question was Austin Bencini and his wife, Juanita Bencini. Considering that this was a wedding of just 250 people said to have been organized “for close friends and family” and bearing in mind that it took place in Italy, more than just eyebrows have been raised. It is easy to understand why Ali Sadr would want to invite some important ‘movers and shakers’ from the country which had licenced his bank, for his intimate wedding. What is less easily explained, or justifiable is, why on earth would they accept? Perception in life is everything, and no matter how much those mentioned are trying to wave away their presence as something run-of-the-mill which happens all the time, sorry folks – this was not just another wedding. Nor is Pilatus just another bank. Unless you have been living under a rock, everyone knows that it is under investigation on suspicion of money-laundering and tax evasion, and that its name is inextricably linked to an account called Egrant, whose UBO still has yet to be established by the inquiring Magistrate. Egrant, of course, was alleged to belong to Mrs Muscat, hence the inquiry. 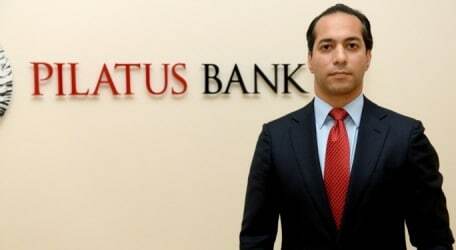 In fact, you can see how six degrees of separation can even be applied to Pilatus bank where the connections have become rather too close for comfort. Meanwhile, last week, Ali Sadr was arrested in the United States on a separate issue where he is currently facing hefty charges for the breaching of US sanctions against Iran dating back to 2006. None of this was yet in the public domain back in 2015 when Ali Sadr got married, but still, it never looks good for politicians or PEPs to get too cosy with those who deal in high finance. But because inviting politicians to weddings is such common practice here, potential conflicts of interest and a need for clear separation of powers, are not taken with the gravitas that they should. As it turns out, however, the ones who probably come out looking the worst in all of this is the Bencini couple. (Which is not to say that it does not look equally damning for Muscat and Schembri, even though Muscat said he had informed the Magistrate leading the inquiry about his presence at the wedding). Persistent calls have been made for Austin Bencini to resign or be removed because his very integrity has been called into question. The question is inevitable: How can someone who yields such influence in the Fourth Estate have kept mum about the fact that he knew Ali Sadr well enough to be invited to his wedding, especially after suspicions about the Pilatus Bank Chairman were on everyone’s lips? Meanwhile he has told his Board that he attended “in his private capacity”, which is a rather moot point. I hardly think he was there as an official representative of The Times. To make matters even worse, is the connection which Mrs Juanita Bencini has with Pilatus bank. Those degrees of separation are becoming positively minute at this point, for Mrs Bencini is the President of the Institute of Financial Services Practitioners and was a partner (now consultant) at KPMG, who were none other than the auditors of Pilatus Bank. She is also the Chairman of the AML committee within the Malta Institute of Accountants. Oh, and what does AML stand for? You guessed it: Anti-money laundering. Her very designations (you would think) would have made her take one look at the wedding invitation, turn to her husband and tell him, “We cannot possibly attend”. The fact that many do not see anything wrong with any of this, simply because socializing and hobnobbing in Malta between politicians, power brokers, business people and influential members of the media is not given a second’s thought, probably explains why it is so easy to blur the lines and why what is ethical and correct keeps becoming more and more elusive.